Ron F. Waszczak is a recipient of the Gulf Coast Section SEPM Distinguished Service Award for 2012. Ron was born and raised in the south hills of Pittsburgh, Pennsylvania, and pursued his advanced education in Ohio. He earned his B.S. degree in Geology from Marietta College, where his undergraduate mentor was Dr. Dwayne D. Stone. The Geology Department summer field camp afforded Ron one of his first hands-on experiences in paleontology, which was to participate in the excavation of a Camarasaurus dinosaur from the Upper Jurassic Morrison Formation in Emery County, Utah. Ron earned his M.S. degree in Geology from Bowling Green State University. His graduate research, under the guidance of Dr. Don C. Steinker, focused on the ecology and distribution of plant and sediment-dwelling foraminifers from the modern carbonate environments off the Florida Keys. Ron's career in the oil and gas industry began with 3 years of experience as both prospecting geologist and paleontologist with Texaco Inc. in Bellaire, Texas. Later, he was employed for 14 years with ARCO Oil and Gas Company in Houston and Dallas, Texas, and Lafayette, Louisiana. At ARCO, he expanded his skills in biostratigraphy, clastic sedimentology, and sedimentary petrology. He held positions as Supervisor of Stratigraphic Analysis, Coordinator of Operations Stratigraphy, and Manager of Biostratigraphy. In 1995, Ron joined Conoco, where he is currently Principal Biostratigrapher for ConocoPhillips Subsurface Technology organization in Houston. Throughout his career, Ron has supported evaluation of basins and reservoirs of various geologic ages and depositional settings, which include the deepwater and shelf Gulf of Mexico; onshore Gulf Coast and Lower 48 mid-continent; the San Joaquin and Sacramento basins of California; Arctic basins of the Beaufort and Chukchi seas and northern provinces of Russia; offshore areas of Venezuela, Trinidad, and Barbados; offshore Ecuador; and offshore areas of West Africa, East India, and Bangladesh. Ron served the Gulf Coast Section of SEPM as Secretary from 1998 to 1999, as President Elect, President, and Past President from 2000 to 2002, as Technical Program Co-Chair for the GCAGS/GCSSEPM 2001 Annual Convention, and on the GCSSEPM Foundation Bob F. Perkins Research Conference Organizing Committee from 1998 to 2002. From 2006 to 2008, Ron also served the North American Micropaleontology Section of SEPM as President Elect, President, and Past President. 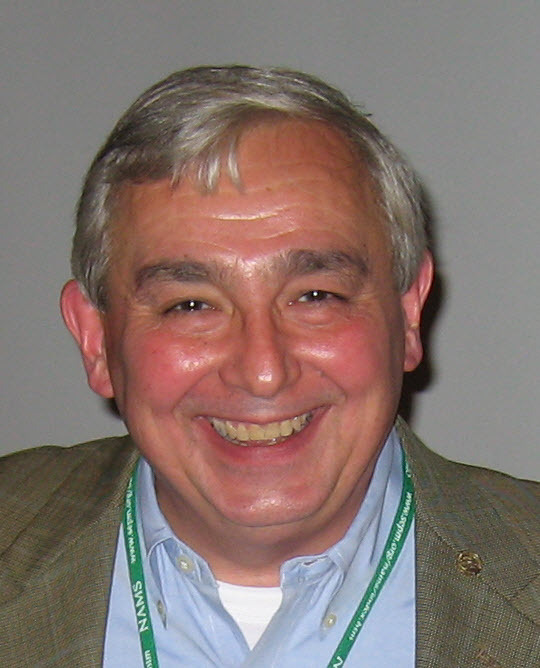 Ron co-convened SEPM research conferences as Technical Program Chair of Geologic Problem Solving with Microfossils (2005) and as Vice-Chair of Geologic Problem Solving with Microfossils II (2009). He has served as SEPM Committeeman for selecting Moore Medal and Twenhofel Medal awardees from 2004 to 2006, and as SEPM Short Course and Field Trip Chair for the AAPG/SEPM 2006 Annual Meeting. Ron currently serves on the Board of the SEPM Foundation. He is also a current member of the Executive Board of the Houston Geological Society, and he is the 2012 Editor of the HGS Bulletin. Our paths fortuitously crossed when Ron was in transition from ARCO to Conoco. I personally owe my current involvement as Lead GCSSEPM Trustee and my own GCSSEPM Distinguished Service Award directly to Ron, who encouraged me to ride his coattails. And more recently, he did the same for me with HGS by suggesting that I understudy him as HGS Bulletin Co-Editor. He certainly is a model for paying it forward!